When Sergey Petrossov made the switch from flying commercial to private in 2009, he made a surprising discovery. “The private jet industry was very archaic,” Petrossov says. “Its brick-and-mortar process of picking up the phone, waiting hours, and speaking to numerous people to charter a jet was outdated and inconvenient.” The Russian businessman recognized the need for an update to the system that would bring it into today’s high-tech world of instant gratification and communication. As the cofounder of two IT projects and a board advisor to a South Florida private jet operator, Petrossov knew he was the right candidate to usher in a new era of private flying. Enter JetSmarter, the mobile application developed by Petrossov and his team that launched globally in 2013 and has since been growing to make private jet travel possible for a fraction of the price. How does that work? VIE sat down with Petrossov to learn more. VIE: How did JetSmarter get started and what is the company’s mission? Sergey Petrossov: JetSmarter’s goal is to make private jet travel accessible to the masses and more than just the privileged one percent. JetSmarter’s starting point is $15,000, so we’ve essentially lowered the entry point for private aviation up to ten times, allowing many people with lower net worth to fly privately when they never could before. VIE: Why does this model work so well in today’s world? SP: We offer a unique business model unlike any other private jet venture. JetSmarter is the only private travel service company to operate by way of innovative app technology. We offer four thousand free flights each month to our members, who have access to these flights daily. Through the mobile app, members can book private jets in a matter of minutes, right from the palm of their hand. The mobile app aims to make travel fun, easy, and convenient for our members. With JetSmarter, you’ll no longer have to go through the TSA lines with unreasonable wait times or have to deal with uncomfortable airplane seats—we’ll get you to your destination with comfort and ease. Additionally, the mass affluent are looking for experiences tailored to the lifestyle they want to live. We just launched an events and experiences section within the app that allows members to book curated point-to-point experiences that can’t be found elsewhere. We offer travel experience packages, ranging from experiences with luxury brands like Dom Pérignon to exclusive access to VIP events. We think about three pillars: how you get there, who you meet, and where you go. Mass affluent want a one-stop shop for all three, and that’s what we strive to offer. This tailored approach seems to be working. VIE: What are some of the most popular destinations for your clients? SP: JetSmarter is a global company, and members can charter instantly through the app to any destination, worldwide. With the JetShuttle option, some of the most popular routes members book in the US include New York to South Florida, Los Angeles to New York, and Los Angeles to Las Vegas. With JetSmarter, you’ll no longer have to go through the TSA lines with unreasonable wait times or have to deal with uncomfortable airplane seats—we’ll get you to your destination with comfort and ease. VIE: What does it mean to be a JetSmarter member? SP: Yesterday’s flyers settled for expensive brokers, inefficient jet cards, and crowded airport terminals. 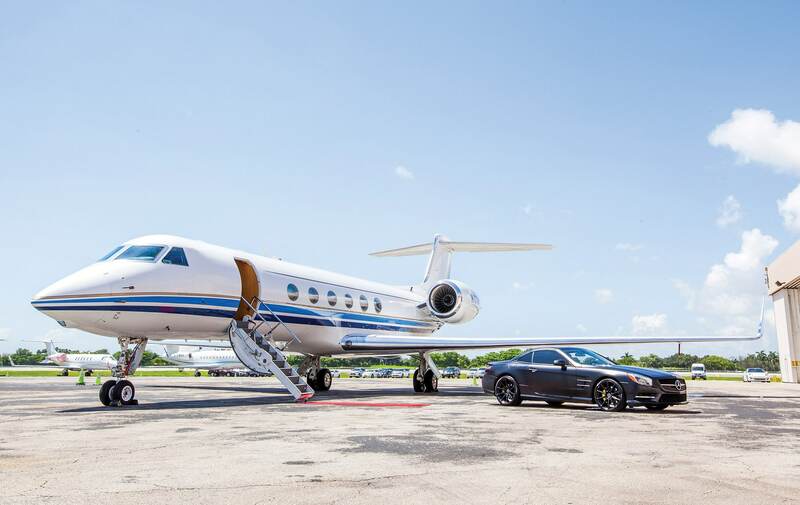 JetSmarter created a fresh alternative by introducing the sharing economy to private aviation. Being a JetSmarter member means having the flexibility to create flights on your own time or find seats on flights created by fellow members—all with the year-round reliability, efficiency, and service that are synonymous with flying private. Our fourteen thousand-plus global member community includes leaders in business, sports, entertainment, and culture, as well as savvy travelers who refuse to settle for less. JetSmarter has redefined the entire industry with one clear mission: to reimagine aviation as it was meant to be. VIE: How do shared charters work? What are the benefits of this? SP: Shared charter provides members with the flexibility to fly where they want and when they want while yielding vast savings compared to traditional private charter options. After a member books his or her charter flight, leftover seats from these personalized flights will become available for other members to view and purchase. Once the seats are booked, the flight creators will be reimbursed in credit to use on future flights with JetSmarter. 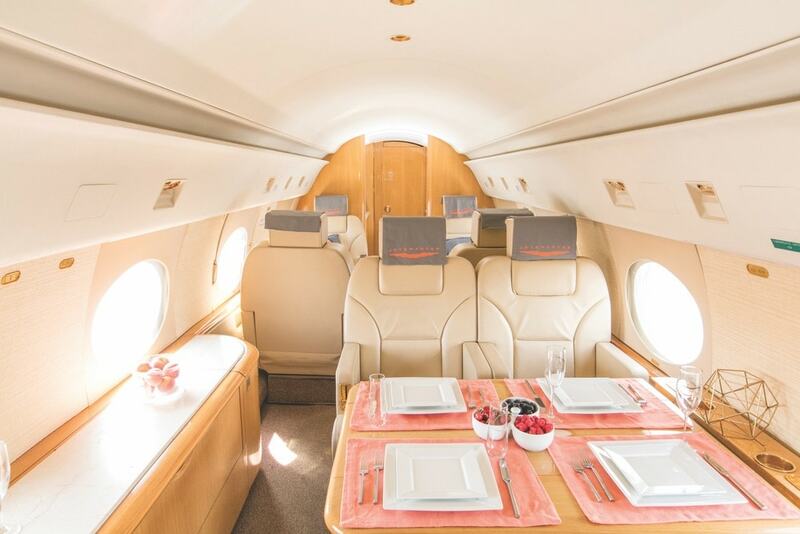 Essentially, this service makes it possible for JetSmarter members to be reimbursed in flight credit for up to 100 percent of their charter cost. VIE: What types of jets are available through JetSmarter? SP: Our jets include a wide selection, based on what our air carrier partners provide. One higher-end jet that JetSmarter charters is the Gulfstream IV-SP. The cabin has a length of 45.1 feet, a width of 7.3 feet, and a height of 6.1 feet. It seats up to thirteen passengers and has a range of 4,500 miles and a travel speed of 528 miles per hour. SP: Travel is important because it teaches a person great knowledge that cannot be acquired vicariously. Traveling is a gift, and when people can, I tell them to do it often. My best travel advice is to meet as many people as possible, try all the new foods your destination has to offer, embrace the culture and surroundings, and don’t forget to live in the moment. VIE: What’s coming up for JetSmarter this year? SP: We plan to continue our global expansion, and we’re currently focusing on expanding in the countries where there is enough supply to satisfy demand. We are continuing to partner with carriers across the globe to offer users more inventory daily. Our goal is to one day make all air travel private. Since our launch in 2013, JetSmarter has disrupted the travel industry for the better, and we will continue to democratize the industry, making private jet travel more accessible for those who never thought it’d be possible.